Within the business, Yvonne's son, Richard Sanders works in management, sales, restoration of furniture, chandelier assembly, deliveries and runs the Architectural warehouse. Also, his wife Nadine works in sales, merchandising and website administration. Along with Antique Furniture and collectibles, European Chandeliers are a specialty. Yvonne Sanders Antiques stocks an impressive range of Chandeliers with Iron, Glass and Brass frames along with stunning Crystal Chandeliers. 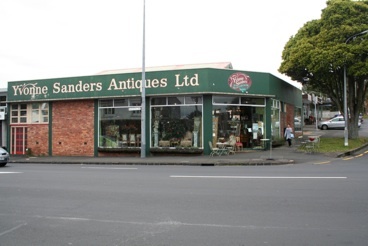 You can be assured whatever your desire, your purchase from Yvonne Sanders Antiques will be of the highest quality to enhance your Home or Business to a new level of style and design.